Are you doubting the divine inspiration and authority of biblical scripture? 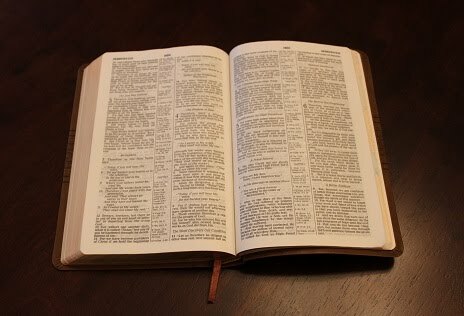 The Bible is a collection of sixty-six books: thirty-nine comprising the Old Testament and twenty-seven the New Testament; all written throughout a period of time spanning roughly 1600 years. The Bible was written by about forty independent writers. The various books of the Bible were written in varying styles (poetic, literal, figurative, prophetic...) and in three original languages -- Hebrew, Aramaic, and Greek. The Biblical writers lived during different historical periods and in different geographic locations. The Biblical writers lived under unique customs and governments and spoke different languages. All of the Biblical writers wrote independently of one another. Prophesies found in earlier Biblical books foretold events documented in later Biblical books, hundreds of years after the prophesies were recorded. The Old Testament contains more than 300 Messianic prophesies alone, detailing the coming birth, life, death, resurrection from the dead, and ascension of Jesus Christ the Messiah, all fulfilled in the New Testament. Unlike non-inspired works, the Bible is written in an authoritative manner showing no human bias. The Bible has all the characteristics of genuine, historic authenticity - the writers spoke of what they saw, heard, touched, and experienced. The Biblical writers received no worldly gain from their testimony. The Biblical writers did not claim personal responsibility for the Word, but rather gave all credit to God. In many cases, the Biblical writers' testimony directly resulted in their loss of friends, home, and social status, and it often brought persecution, imprisonment, and even death. There is no reason to question their honesty or motives, nor is there any room to argue conspiracy. There is consistent and complete, error-free, non-contradicting unity, harmony, continuity, and theology throughout -- beginning to end -- despite the incredible diversity from which it came! Without divine guidance, how else could such a work come about, withstanding the tests of time and overcoming attempts at censorship or outright elimination? It is impossible to argue this is the result of coincidence, conspiracy, or accident! But when they arrest you and deliver you up, do not worry beforehand or premeditate what you will speak. But whatever is given you in that hour, speak that; for it is not you who speak, but the Holy Spirit. The Bible is God's Inspired Word. "For the message of the cross is foolishness to those who are perishing, but to us who are being saved it is the power of God. For it is written: 'I will destroy the wisdom of the wise, and bring to nothing the understanding of the prudent.' Where is the wise? Where is the scribe? Where is the disputer of this age? Has not God made foolish the wisdom of this world? For since, in the wisdom of God, the world through wisdom did not know God, it pleased God through the foolishness of the message preached to save those who believe. For Jews request a sign, and Greeks seek after wisdom; but we preach Christ crucified, to the Jews a stumbling block and to the Greeks foolishness, but to those who are called, both Jews and Greeks, Christ the power of God and the wisdom of God. Because the foolishness of God is wiser than men, and the weakness of God is stronger than men."